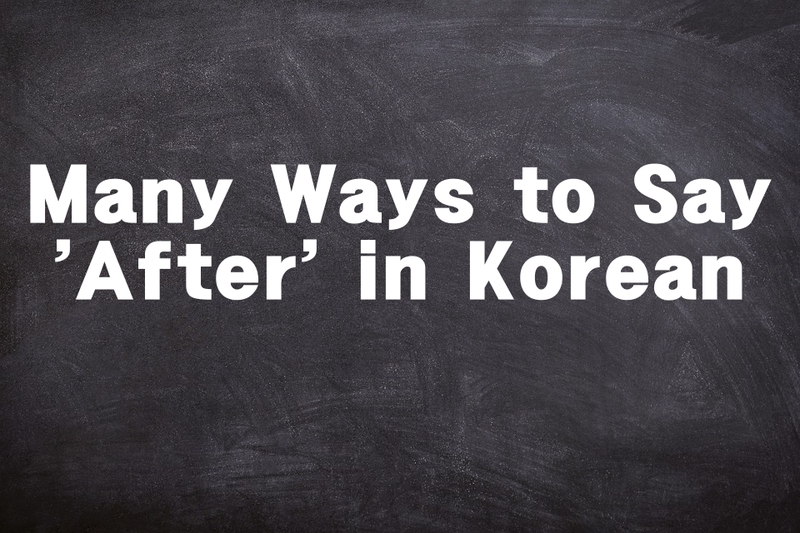 In case you missed it, we have previously talked about after along with before in one note. We do it by adding –(으)ㄴ 후에 to the stem of an active verb. 비가 온 후에 집에 바로 갔어. I went home right away after the rain. 점심 먹은 후에 잠깐 쉬어요. I take a rest a bit after (eating) lunch. 사실을 알게 된 후에 걔랑 얘기했어. I talked to him after I found out the truth. It is also possible to attach 후에 to nouns. Yes, without –(으)ㄴ. 파티 후에 집이 더러워 졌어. The house was messed up after the party. 태풍 후에 많은 사람들이 사망했어요. A lot of people lost their lives after the typhoon. 식사 후에 이 약을 먹어요. Take this medicine after meal. Aside from 후에, there are two other ways we can say after in Korean. This is much lesser than our previous many-ways-to-say series though. The first one is –(으)ㄴ 뒤(에) and the second one is –(으)ㄴ 다음에. 뒤 literally means behind or back while 다음 means next. 그 커피 마신 뒤에 머리가 아팠어. I had a headache after drinking that coffee. 한국 드라마를 많이 본 뒤에 한국말 실력이 느렸어. My Korean got better after watching so many K-dramas. Let me know after you made up your mind. 시험 본 다음에 옥생에 만나자. Let’s meet at the rooftop after the exam. 밥을 먹은 다음에 이를 닦아야 해. You should brush your teeth after eating. 졸업한 다음에 뭐 할 거야?